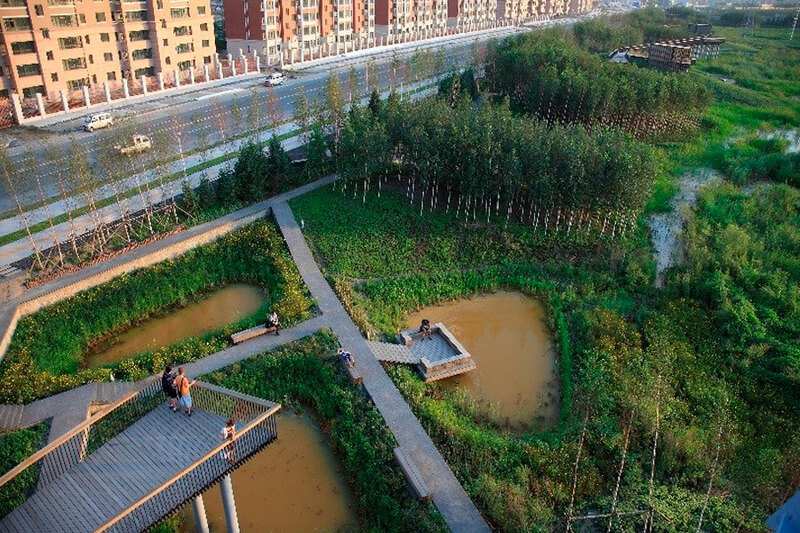 The 34 hectares urban storm water park in the city of Harbin in northern China is an example of successful Sponge City intervention. The storm water park provides multiple ecosystems services: it collects, cleanses and stores storm water and lets it infiltrate it into the aquifers. At the same time it protects and recovers the native natural habitats and provides an aesthetically appealing public space for recreational use. https://www.worldfuturecouncil.org/wp-content/uploads/2016/01/Harbin_China_sponge_city.jpg 600 900 World Future Council https://www.worldfuturecouncil.org/wp-content/uploads/2019/04/wfc-logo-en-without-band-website-bigger-1-300x115.png World Future Council2016-01-20 10:37:162016-07-04 08:19:22Sponge Cities: What is it all about?